The immense 'Motherland' statue (279 feet/85 meter) at the top of the Mamayev hill. Over there some of the most intense fighting during WWII took place. The statue is the Russian version of the Statue of Liberty. 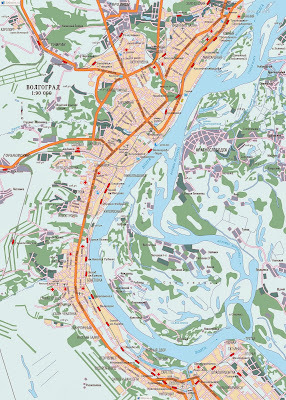 Volgograd (Волгогра́д), formerly known as Tsaritsyn (1589–1925) and Stalingrad (1925–1961), is an important industrial city in Russia and located on the western bank of the Volga River. Climate (daily mean): -7°C (20°F) Winter ~ 30°C (85°F) Summer. Distance: Moscow 905 km (560 miles) ~ Sochi: 690 km (430 miles). 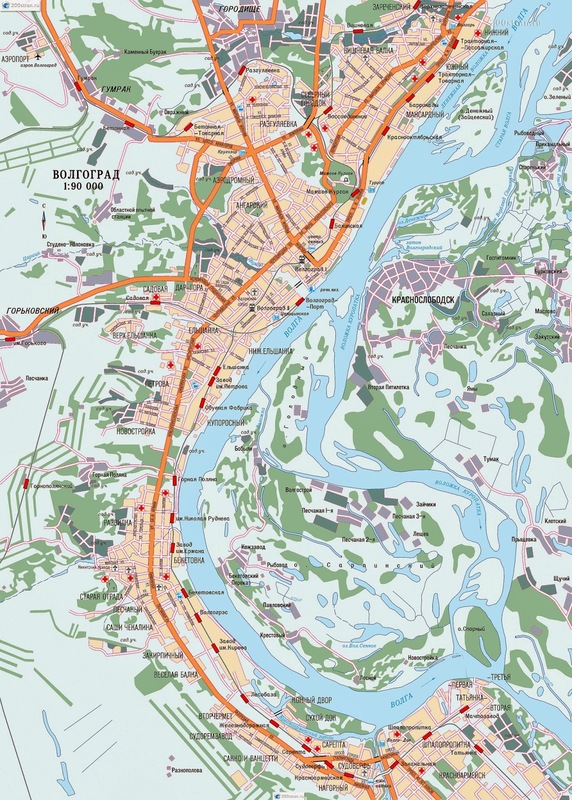 The city reaches out for 100 km along the river bank which makes it one of the longest cities in Europe. 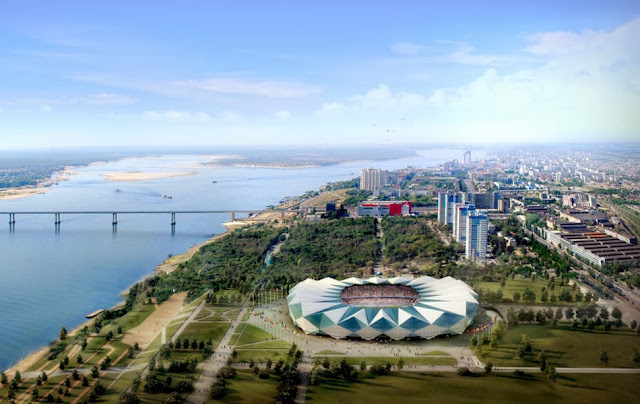 Modern Volgograd is a large scale industrial centre with industries like fuel, metallurgical, chemical, oil, engineering industry, tree and food industry. Volgograd with the future 2018 World Cup Football stadium. The Battle of Stalingrad (August 1942 – February 1943) was among the bloodiest battles in the history of warfare. It is probably the most strategically decisive battle of the whole war; it was a turning point in WWII. The city is close to the unique Volga-Akhtubin floodplains, the last pristine stretch of the Volga river valleys. The lakes make up to 30% of the park’s territory and count over 200 species of birds. What breathtaking pictures. I can see why the statue was named so! Thanks - I hadn't realised Volgograd was Stalingrad, news reports would be more interesting if such details were included. An early Happy New Year Rob! The Motherland statue is stunning in this photo. I can't help but wonder how much more beautiful the city would have been under Communist control such a long time. It is still a beautiful place. At the end of the USSR - in the beginning of 1990s - Volgograd "risked" a change of name into Tsaritsyn, as well as was happening to Leningrad and to Sverdlovsk. But local administrators convinced Yeltsin to remain "Volgograd". After Tsaritsyn and Stalingrad, also the name Volgograd has lately found a world echo because of bombs. As I mentioned elsewhere, the Paris Metro has a stop called "Stalingrad." Tragic what just happened in Volgograd. And "Via Stalingrado" is one of the most important streets in Bologna (Italy). Look at Google maps here . In Italian it ('Via Stalingrado') sounds much better. Bologna looks like an interesting place to visit; in streetview I noticed a huge tower in the center.